I've got another Girly Girl mani for you today. 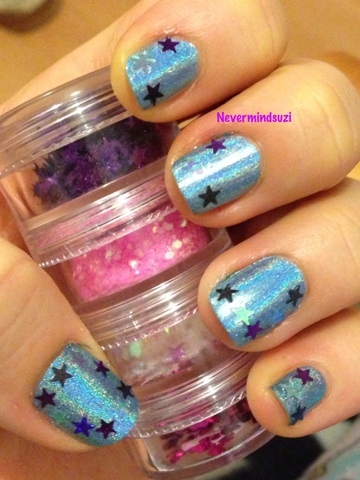 The holo of the polish and the duochrome of the stars is beyond BLING! I. Love. Holos!!! So pretty! Great choice for your bling mani! Nothing blings more than a great holo polish! oh wow, they look really really cool!! 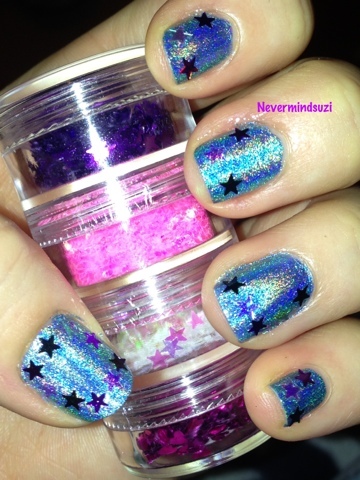 Love the holo and the bling bling together!! Thank you for a great giveaway!! I have a couple of small ones on mine if you wish to enter! Cant beleive ive never come across your blog before -its fab!! i love it!